There are several reasons for polishing and shining your wood floors. For starters, a shiny floor looks fabulous, but polish or wax deliver much more than just a nice glistening shine. Wood polish and wax add a protective layer to your engineered or solid hardwood floors, making them more resistant to moisture, heat, and damage from scratching and general wear and tear. How to polish wood floors is a question for all those who have some of the best types of wood flooring, be it solid, engineered or laminate. We’ve gone and done the research for you and will tell you in this article how to polish wood floors. 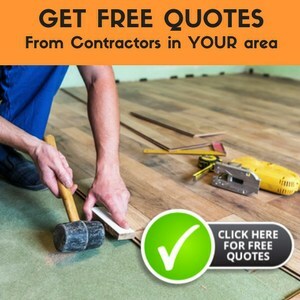 The methods differ depending on your floor type, with one method suitable for laminate flooring and the other for solid wood and engineered wood flooring. The polish type is also specific to the type of floor you are treating. Before going into the how to polish wood floors one may ask, why bother polish wood floors at all? After all, not everyone likes a shiny floor, some prefer a matte finish. But there’s more to polishing floors than just creating that beautiful shine. Polishing is crucial for both laminate and natural wood floorings. For laminates, the polish provides protection against the wear and tear of heavy traffic. In short, polishing extends the lifespan of laminate flooring. This is even truer when it comes to solid or engineered wood flooring. The right wax and polish can add years to the longevity of flooring, improve the durability and provide protection against the effects of fluctuating moisture levels and temperature, against scratches and heavy wear, and against dirt and grime. So, if polishing the wood floor makes it more durable, the question how to polish wood floors becomes even more pressing. Let’s look at the most important aspects before outlining how to polish wood floors for both, real wood and laminate flooring. How Often Should You Polish Your Wood Floor? Dust and dirt damage wooden floors, acting like grit or sandpaper, so its vital to keep wood floors clean and remove dust and dirt using a soft sweeping brush or vacuum head daily. As for the frequency of applying polish, well, flooring experts recommend applying polish every 2 to 4 months. The frequency will largely depend on the amount of traffic in any given area. Halls and living areas will require more frequent polishing than bedrooms, for instance. What Polish Should You Use? When choosing a wood floor polish, buying the floor-type specific product is the most important thing to remember. Polishes that work wonders on solid wood floors can leave laminates looking dull and lacklustre, while laminate polishes may damage the surface of a solid wood or engineered wood floor. A flooring expert can provide advice, as can staff at your local hardware store. Just make sure, you are choosing the right type for your specific wooden floor. Furthermore, you can choose between a high-gloss and a low-gloss polish. High-gloss polish reflects more sunlight and is shinier than low-gloss, however, dirt and grime are also more visible on high-gloss polished wood floorings. Polishing requires you to remove all furniture from each room you intend to treat. Be careful not to scratch the floor when moving furniture, in fact, use protective pads to prevent this from happening. Clean the floor thoroughly, first with a sweeping brush, microfiber mop, or vacuum, and finish by mopping the floor. Make sure the floor is completely dry before applying the polish. 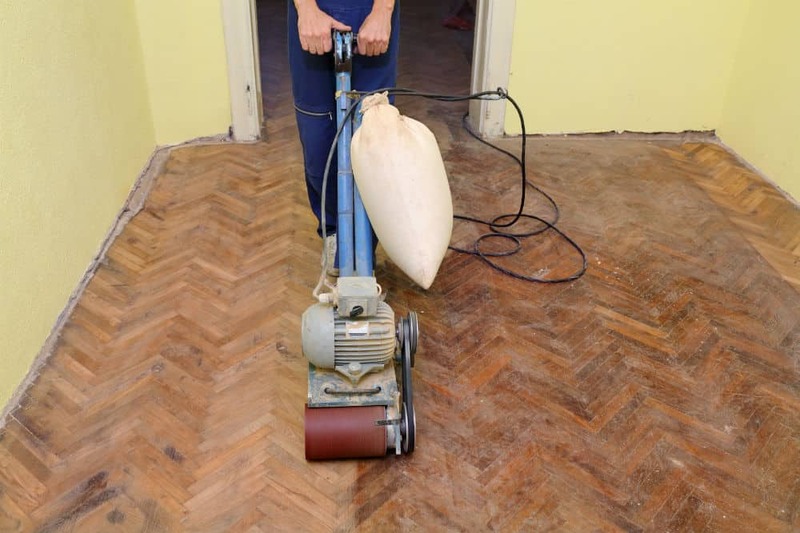 This is one of the most important aspects of how to polish wood floors. Get the appropriate tools ready. Some polishes are best applied with a foam roller, others with a product-specific applicator pad. Applying polish is a little like painting the floor, so it’s important to pick a good starting point. Otherwise, you may polish yourself into a corner! Using an applicator pad or foam roller, apply a thin, even film on the floor, using a feathering technique. Keep the sections you are working on small, and only move onto the next, when the polish is completely smoothed out. Pay special attention to the grooves between the planks, as well as to corners and doorways. Polishing the edges of each room takes time and patience, so be prepared to invest it. Some experts suggest having one person take care of the perimeters of a room and the other of the general floor area. Depending on the type of polish you use, it may take up to 24 hours before the floor is ready for heavy traffic, and you can put your furniture back. With most polishes, you can allow light traffic after a couple of hours, but make sure to check polish manufacturers guidelines. The polishing process for laminate wood flooring is similar, just the product is different. Again, it’s best to apply the polish with a flat mop or applicator pad, working from the far side of a room to the door. Laminate floor polish is generally lighter, so flooring experts often recommend applying two coats of polish. Apply one thin layer first, wait for 30 minutes and repeat the process. If you do apply two coats, one annual application should suffice. Check product instructions to find out the required drying time before putting the furniture back. Remember that most laminate floors are not all that shiny, to begin with, so don’t expect a blinding high-gloss finish from your polishing efforts. Now that you know how to polish wood floors, you can look forward to doing the job (or maybe not) and to enjoying month and month of beautiful, shiny floors. No doubt, experts emphasize the importance of polishing wood floors time and time again, not just for the floor’s appearance, but to enhance its durability and resistance. A wooden floor is a big, long-term investment, so it’s important to take care of it!